I am quite fond of a spa pedicure, a Sunday afternoon with a pot of coffee and a pile of old magazines, a week on a cruise ship. But when none of those are available, as is far too often the case, I am willing to settle for something chocolate. On a good day, I have access to a variety of chocolate treats. A Hershey bar. A bag of Dove dark chocolate squares. A box of Nonni’s Cioccolati Biscotti. On a bad day, a handful of semi-sweet chocolate chips will do. But there came a day when there was nothing chocolate in the house. Sure, I had ingredients for baking, but I didn’t have time to wait for a cake or a batch of brownies. I didn’t even have ten minutes to run to the store. 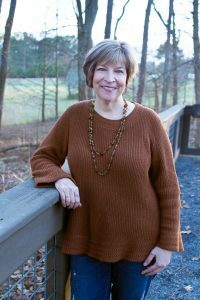 I was a woman in crisis. I needed chocolate in five minutes or less. 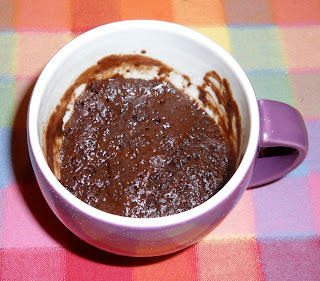 Then I remembered a recipe that went around for a while, something about a five-minute microwave cake in a mug. I googled the recipe, gathered the ingredients, and gave it a try. Blech! Yes, it resembled chocolate, but in a bland, rubbery sort of way. But I felt the idea had possibilities. So later I experimented with a few other recipes. Finally, I hit upon one that was rich, gooey and delicious. In a 12-ounce coffee mug, combine butter, water, vanilla and salt. Add sugar, cocoa and flour; mix well. Microwave on high for 60-90 seconds. Center will be molten; be careful not to overcook. Serves 1 generously. A few chopped pecans tossed into the batter make it even better. Delicious topped with a scoop of vanilla ice cream. I am always on the lookout for decadent pleasures to add to my repertoire. What are your favorites?